This week the clocks changed, the weather's cooled down and the kids are on half-term break. Which means my clients are asking me to help them them ward off the coughs, cold and other lurgies that start doing the rounds at this time of year. They're too busy to get a bug. I help them focus on eating foods that support their immune systems. This means Clearing Up processed food, minimising sugar and Crowding Out with simple, colourful foods that help decrease inflammation in the body. We're always being told to eat our greens. Thankfully, at this time of year we've got a whole other colour spectrum to help keep things interesting. I'm talking all things yellow and orange. 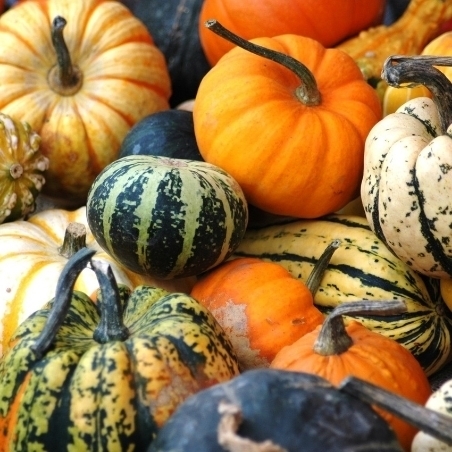 The golden autumnal beauties of pumpkin, squash and sweet potato. They're rich in beta-carotene and anti-oxidants. Here are my 5 glorious-wellness-boosting tips to help you stay healthy this winter. Include yellow and orange veggies such as pumpkin, squash and sweet potato. Also keep eating a rainbow of other vitamin-C rich fruits such as kiwi, grapefruit, pomegranate and berries. Add turmeric, garlic, chill and ginger to your cooking. I add them to all of my winter soups and stews. I also use half a teaspoon of turmeric and a piece of ginger in my morning smoothie. Eat food fats. At the moment I'm rotating between extra virgin olive oil, coconut oil and butter. Add shitake mushrooms to your stir fry. They're rich in vitamin D which many of us lack in the winter months. Include brazil nuts in your diet to ensure you're getting enough selenium. 5 or 6 brazil nuts a day should do it. Later this week I'm giving a talk at Neal's Yard Remedies about how to stay gloriously well this winter. Can't wait to meet some lovely new people and to help them on their wellness journey. If you've been feeling under the weather and want my help to feel gloriously well, sign up here for a free wellness review. 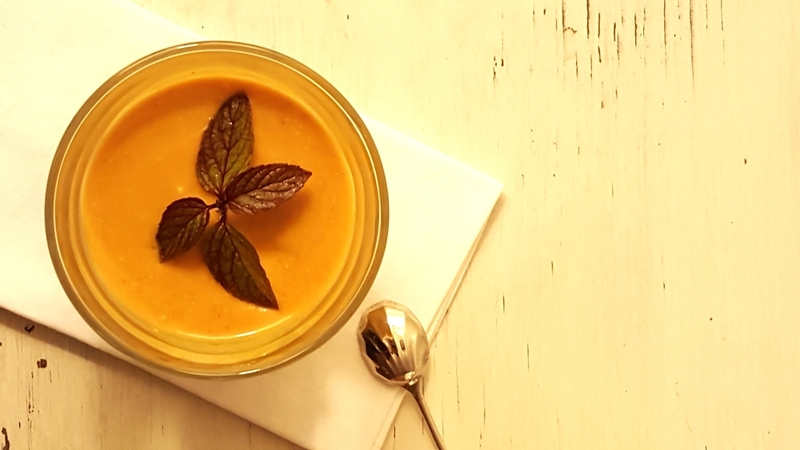 Here's a recipe for a bright immunity boosting smoothie. Looks like sunshine in a glass. As with all my recipes it's very simple - who has time for anything complicated? It does however need ONE teeny piece of pre-planning and that's to roast or steam a sweet potato beforehand. I'm not a morning person and most of the women I work with would never ever have the time or inclination to cook a sweet potato at breakfast time. So let's assume the simplest way to get over this is to roast / steam the sweet potato when you're cooking dinner, then keep it in the fridge in a tupperware and carve out chunks of orange flesh when you need it. It'll keep for 3 days like that which means 3 days of bright yellow smoothies for breakfast. Whizz it up in the blender till it's smooth. Slurp away.